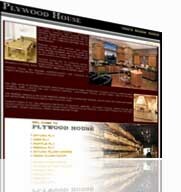 Our Custom Built Website Portfolio - Recent Works! This is a partial listing of the many websites designed and implemented by Orange Softech. Request a quote from us; you will be surprised how affordable our experienced design masters are! 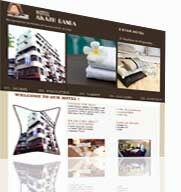 At Hotel Akash Ganga, you are offered quality facilities and distinctive services. Facilities include conference hall, fax, internet, complementary newspapers in the lobby, florist, doctor on call, parking facility and travel desk. JG Health and Fitness consultancy is the home of Jerry Garvey a passionate health and fitness professional providing personal training in the North London area. The website contains information on training sessions, nutrition, rates and contact details. Kariwala Creations Limited design, develop & manufacture children clothing, all types of uniforms and industrial wear for both retail and export market across the globe. 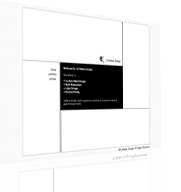 Our team of merchandisers and in-house design studio ensure that the customer queries. 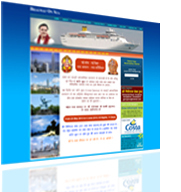 Kohinoor Indya is a network marketing enterprise offering various services. It is the best multi level marketing business plan that makes life more successive with its fast growing features. Its diversified business includes tours & travels, insurances, furniture’s, diamond Jewellery & many more products from time to time. A beautifully designed website with ecommerce facility. They provide quality blinds, curtains, linen, wallpaper, poles, tracks, home wares, and varied accessories for you and your home. Plywood House is the only integrated distributor of plywoods, laminates, decorative veneers, particle boards and prelam particle boards/MDF. Popular brands include Plywood House Plywood, Green Club Premium Ply, Greenlam Laminates, Green Decowood, Green Lamieboard and Ecotec. 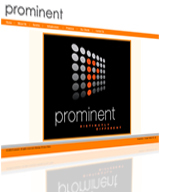 PROMINENT is a complete signage provider, with its complete range of latest products developed and designed by well qualified and experienced team keeping in mind the clients needs, space and budgets. We have mega mall of innovative and displays with its full unit of designing, printing, fabrication and complete installation units under one roof.